I think it is a well-established fact that meal planning is a good thing. I mean, it saves money, hello, and it helps keep our days organized and under control. Over the last few weeks here it should have become a no-brainer that meal planning is something we want to continue. But I’ve known about the benefits of meal planning for a long while. And yet I have been very NON-consistent when it comes to doing it over the long haul. Are you the same? For me, though, we are in SURVIVAL MODE now. My husband’s job loss is causing us to watch every little penny and keep it in our hands as long as possible. 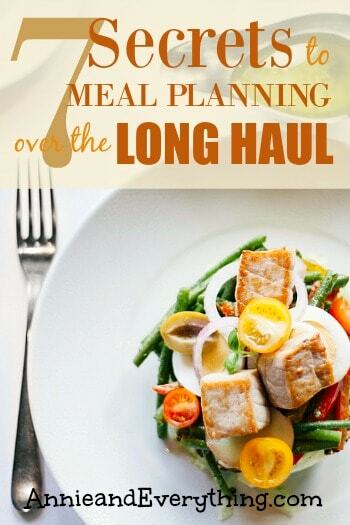 Meal planning has gone from a helpful thing to do to an absolutely necessary thing to do. SO how do I remain faithful to the meal planning ethic? I mean, does anyone really LIKE meal planning? I confess that I still do not. Even though as I’ve worked at it for the last few months, I have come to see that it is a very worthwhile endeavor. 2) Start early. If I procrastinate until the last day of the month about putting together the next month’s meal plan because I know I won’t enjoy the task (rewind to #1), then I’ll be up against a deadline and will rush and the resulting meal plan will not be that great. If I start several days before the end of the month, working a little at a time, then a) the job’s not so hard or frustrating and b) I’ll have a more well-thought-out plan. 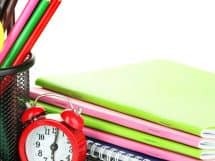 3) I’ve mentioned this before, but I really think planning for a longer period of time, rather than just a week or two, makes a huge difference for me. 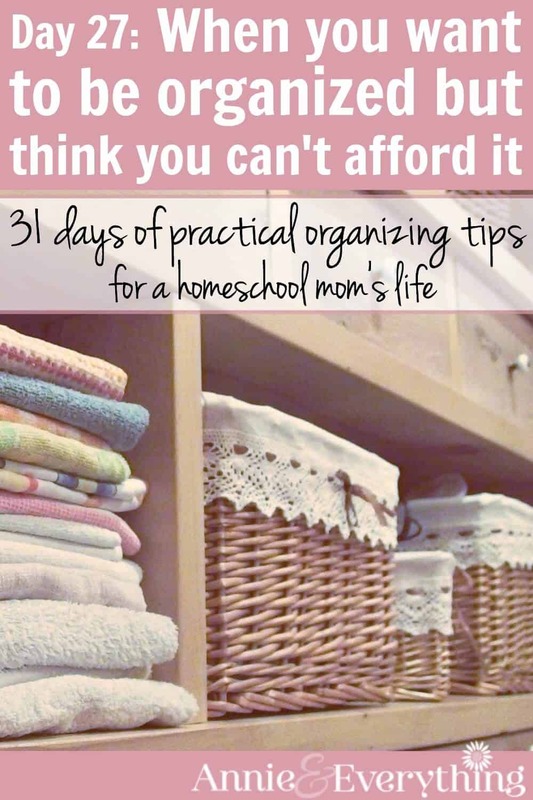 The thought of having to sit down and plan meals even twice a month is so not appetizing to me (pun intended, lol). Doing it once a month is very doable. And then when I am done I can breathe a sigh of relief that I don’t have to do it again for several more weeks. 4) Have a plan for meal planning. 🙂 I.e., be organized. If you have a good system down, the actual planning goes that much more smoothly and quickly. It is worth it to take the time to figure out a meal planning system that works for you; don’t perpetuate the frustration cycle by continuing to meal plan haphazardly. 5) “Make it easy on yourself” (song lyric from, golly, I want to say Dionne Warwick… 🙂 ). Find tools that simplify the process. I use an online menu planner — Build a Menu. The small investment is worth it to me, because it turns meal planning from a multi-hour, pulling-my-hair-out process, into one that is more like 30 minutes and I’m still reasonably happy by the end. Whatever it takes, y’all. 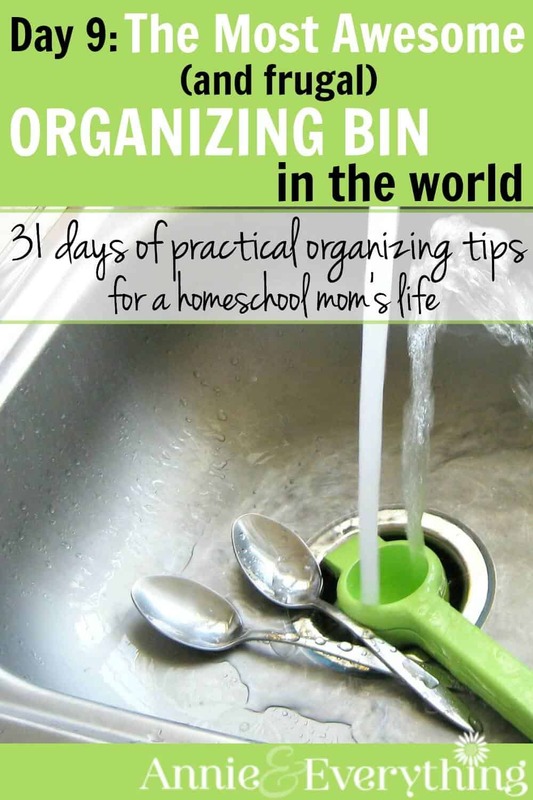 6) Have a list of family favorites and shove them in the plan on a monthly or bi-monthly basis. Guess what? You already have half your month planned that way. For instance, I make our favorite chili pretty much every month, winter or summer. It’s easy and everyone likes it. Why not? 7) I’ve read about planning a weekly routine for your meals so that some of the decisions are already made for you. Like making Monday always pasta or Friday always pizza. I’m not currently doing that, but I can see that it would make planning even that much easier and not so much of a chore. If we remember the benefits of meal planning and keep these tips in mind as we do it, it won’t be as difficult to stay consistent with it over the long haul. And that will help us save money so we can use it for other purposes, like paying down debt that is complicating our lives — or just staying afloat. 🙂 What’s your favorite way to make meal planning easier? I tend to bring our blank menu to the table one night at dinner and everyone is allowed to suggest meals; I’l tweak here and there for it to work with menu items we already have around the house or to make sure we’re not eating ground beef five times in two weeks (this actually happened last night!) but input from everyone helps cut back on the griping over meals they don’t like and it relieves the pressure for me to always have to think up what we’ll be eating. What a great idea, to have everyone make suggestions. That would definitely relieve some of the pressure! 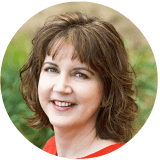 Hi, Ann – thanks so much for these great posts on meal planning! They have really helped me to formulate a plan instead of just flying by the seat of my pants each week. I am a very detail oriented person, and the tips on what to do & not to do and staying consistent/working your plan cut through the fog for me. Blessings!